Hoshino Resorts Tomamu is a ski area built with a dream in mind at the height of the Japanese bubble economy in the early 90's. Complete with 4 high rise towers, a wave pool and possibly the widest streets in Japan. Though the vertical isn't huge (about 540 meters) the tree skiing is fantastic and there's plenty of well maintained high speed groomed runs on offer. The resort also has a respectable park. 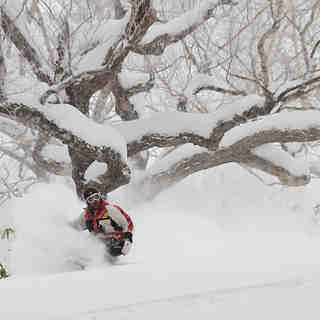 This is a resort that is still off the radar for most international tourists and out of the way for most of the local population so expect uncrowded slopes and no lift lines. Access to Hoshino Resorts Tomamu is easy with a train station at the base of the ski area and a free village bus service. 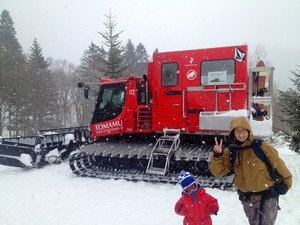 Hoshino Resorts Tomamu can also be visited on a day trip from Furano. Some good steep tree skiing here with no crowds at all (even on weekends). No night life or bars so you make your own fun in an izakaya (casual dining spot). Not as much snow as it's more famous neighbours but seems to maintain snow quality for longer after dumps due to the colder, drier weather. Really quick to get here by train (or drive) from the airport so a good place to start a Hokkaido tour, two days would be a good amount of time here in my opinion, we skied here for four but it was one too many. Lesen Sie 2 andere Beurteilungen ueber Hoshino Resorts Tomamu oder geben Sie Ihre eigene Bewertung ab.